Essel Group Middle East DMCC (“Essel Group ME” or “EGME”) and Simba Energy Inc. (“Simba”) are pleased to announce that they have arranged, subject to receipt of regulatory approval, a private placement financing (the “Private Placement”) involving the sale of 34,000,000 units (“Units”) in Simba Energy at a price of $0.05 per Unit to Essel Group ME to raise gross proceeds of approximately $1,700,000. Each Unit is to be comprised of one (1) common share of Simba Energy and one-half of a share purchase warrant, with each full warrant being exercisable to purchase an additional common share of the company at a price of $0.075 per share for a period of two years. Proceeds from the Private Placement will be used for working capital for Simba Energy. Essel Group ME is a related party to Simba under Multilateral Instrument 61-101 Protection of Minority Security Holders in Special Transactions (“MI 61-101”), as Gagan Goel, a Vice-Chairman and a director of Simba, is the Managing Director of Essel Group ME. The Private Placement therefore constitutes a related party transaction under MI 61-101 and Simba is relying upon exemptions from the valuation and minority shareholder approval requirements of MI 61-101 available pursuant to sections 5.5(b) and 5.7(b) of MI 61-101, as Simba is not listed on a senior specified stock exchange and the Private Placement is to raise proceeds of less than $2,500,000. Pending receipt of TSXV approval, Simba plans to close the Private Placement within 21 days from the date hereof. Simba Energy also announces that Robert Dinning has resigned as CEO of the company effective immediately and that Mr. Punkaj Gupta has been appointed as Simba’s new CEO. Mr. Gupta, who is currently a member of the Board of Directors of Simba, is also the CEO of Essel Group ME. Mr. Dinning will continue to act as President and a director of Simba. “We are very pleased to have Punkaj Gupta join our management team and take a leadership role. We believe that his appointment will assist us significantly with the development of our assets in various locations in Africa,” said Robert Dinning, President. “We welcome the appointment of Punkaj Gupta as CEO of Simba. 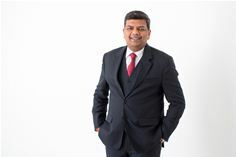 I believe that his appointment represents a step towards both Simba and Essel Group Middle East moving forward on a growth path and aligning their strategies at the grassroots level”, said Gagan Goel, Vice-Chairman of Simba and Managing Director of Essel Group ME. Essel Group ME has advised that it has recently endeavoured to diversify further with investments into the hydrocarbons resource sector and that it has committed its full support to advance Simba’s African oil and gas portfolio through the exploration and appraisal phases in accordance with each governing production sharing contract (“PSC”) by way of joint operating agreements on a per asset basis.